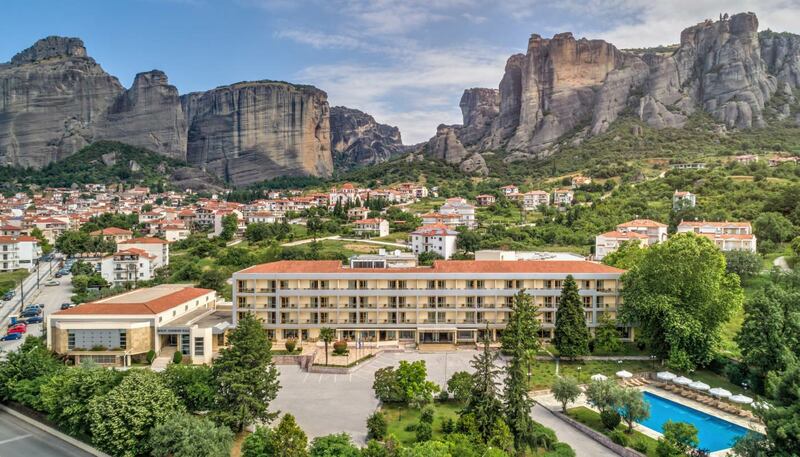 The Divani Meteora Hotel is located in Kalampaka, central Greece, 350 km north-west of Athens and just 1km from the incredible Meteora monasteries. The six monasteries, built from the 14th-16th century, sit atop the remarkable religious rocks of Meteora, a designated UNESCO World Heritage Site. Their spectacular scenery has been used in numerous films. 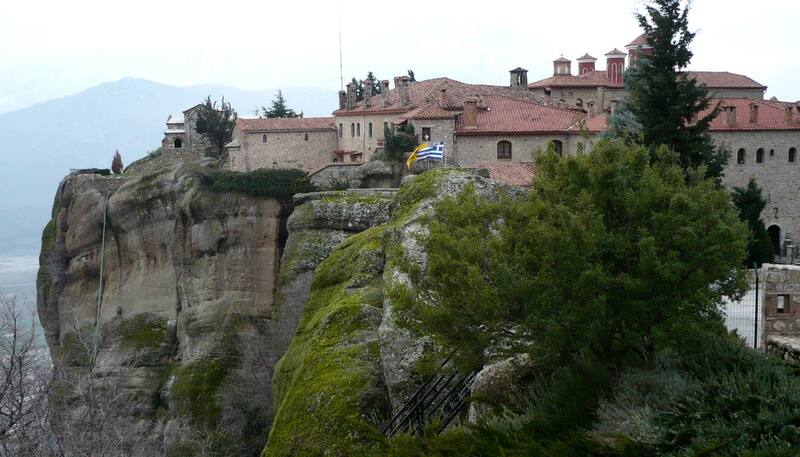 The natural beauty of Meteora is ideal for escaping from your routine. The monasteries are accessible by road and pathways, hiking, biking, and rock climbing activities are available. 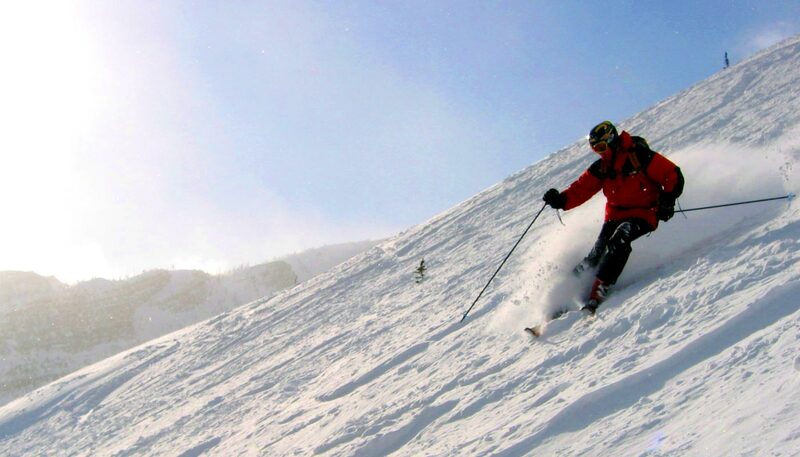 Other places worth a visit in central Greece include Trikala, Lake Plastiras, and Kaimaktsalan skiing center. Until the 1920s, the only way up to the monasteries was by rope ladders and baskets. 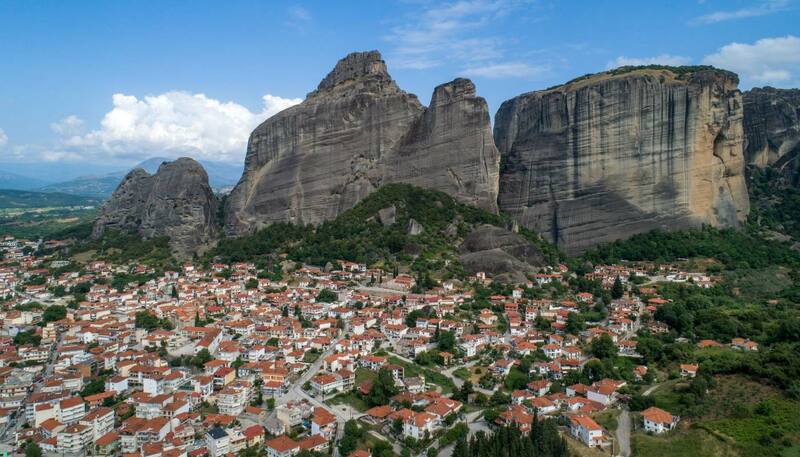 They were built on the most inaccessible summits of the majestic Meteora geological formation to survive invasions across the Thessaly Plain below. Now pathways and bridges will take you to all six. The Agia Triada, or Holy Trinity, monastery may look familiar – it was used in the James Bond film « For Your Eyes Only ». Modest dress is required for visits. Check opening times and tariffs for each monastery. Just under a half-hour drive from the hotel, Trikala promises a trip into the past. Its castle dates from the Byzantine period, and the Ottoman Osman Shah Mosque, dating from the 16th century, is the only mosque remaining in Trikala today. The oldest churches can be found in the Vasouri and Manavika districts in the old city. Lake Plastiras is one of the highest reservoirs in Europe, surrounded by mountains and woods in a magical setting. A dam was built in 1950-1960 to prevent repeated flooding from the Tavropos River. 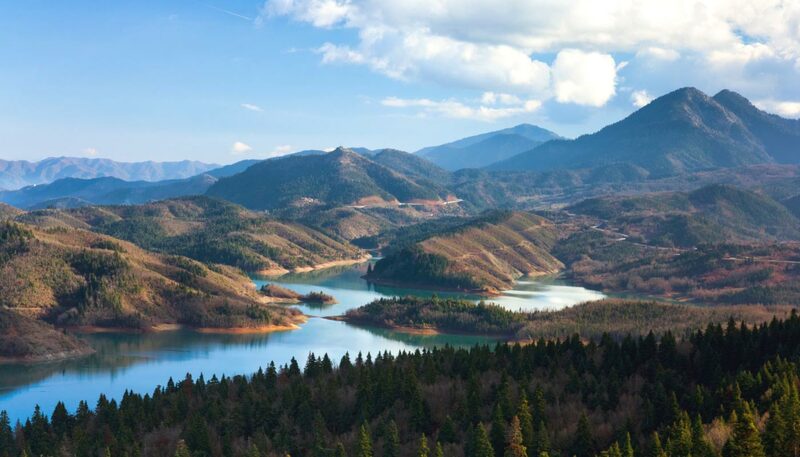 However, use of the lake for hydroelectricity, irrigation and drinking water for nearby Karditsa has been limited to preserve tourism at the picturesque site. Mount Voras, or Kaimaktsalan (also written as Kajmakčalan), is one of the highest mountains in Greece. A ski resort was opened here in 1994 on the north-eastern slope of Mount Voras. From the summit (2,480 m) you can see Thermaikos Gulf to the south-east, Lake Vegoritida to the south, and even as far as Mount Olympus.